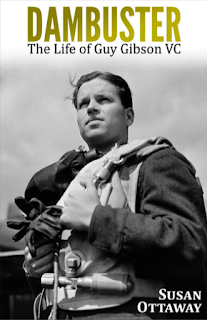 Botn in India and brought up in England, Guy Gibson joined the RAF in November 1936. Thereafter his career can be seen as a battle between, on the one hand, his uncertain temperament and less than ideal private life, and, on the other, his undoubted skills as an airman and as a leader of men. The war was to being him adventure and, later, fame. He took part in the first aerial attach of the war on the Kiel Canal; he served in Fighter Command and then, in 1943, came the famous raid on the Mahone and Eder dams for which he was aware the Victoria Cross. By now a hero of international fame, he was sent on a Public Relations tour of North America, but he was above all a flyer and, refusing to remain grounded, he died an airman's death. This new edition, which draws on conversations with members of Gibson's family and on notes made by his widow, expands upon his early life in a severely dysfunctional family, his unhappy marriage and the possible reason fro his untimely death in September 1944. I am aware that this type of book isn't typically found on my blog or anywhere on my social media. Mainly because I love reading YA and the subgenres that can be found with in it. However, I am a huge history nut and love learning about the Second World War and the Cold War. When the email asking me to review this book popped into my inbox, I stared at a little while. One part of me was going omg omg omg this is so cool, whilst the other side was going do you actually want to read this? And honestly, yes I do. Whilst this isn't typically what I read, I am interested in this guy's life story the great deeds he did for the modern world. Thank you so much to Thistle Publishing for sending me this book to review. Just a quick thing to note; I have received this book at no costs of my own in exchange for an honest review. With that being said, please note that in no way has receiving this book affected my opinions. All thoughts are my own. This review is taking a bit of a different structure because one can't really talk about a plot or characters if the plot is history and the characters were actual people. So I decided that I would just give an overall thoughts on the book. Overall, I enjoyed this book. I think that it can be of great use to all historians a like. It was factual and you could see that the author really did her job in ensuring that her facts were as true as they can be. I personally enjoyed this book because I fancy myself a small historian. I love history and this book was definitely interesting. It also fell perfectly inline with my current school syllabus. Despite this being a sort of biography, there was a lot of information that could be used as sources for investigations and so on. Thank you so much to Thistle Publishing for sending this book my way!